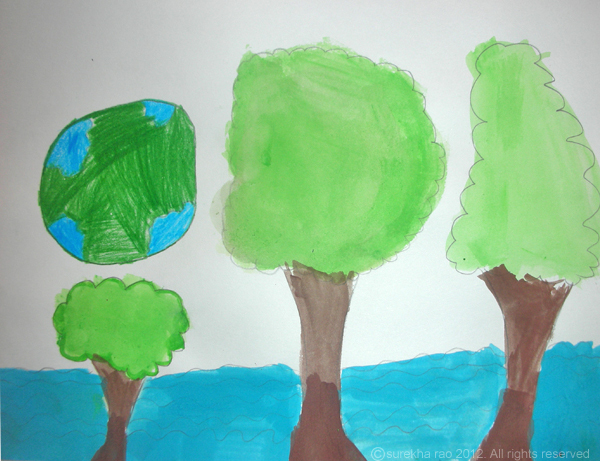 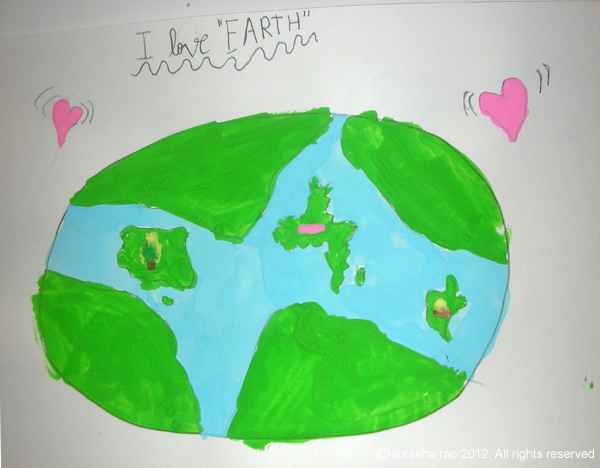 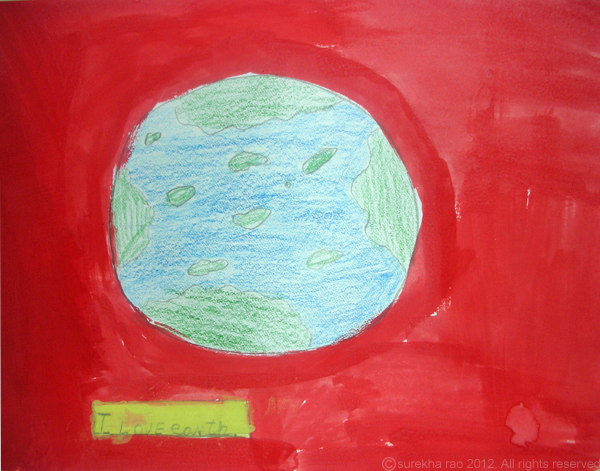 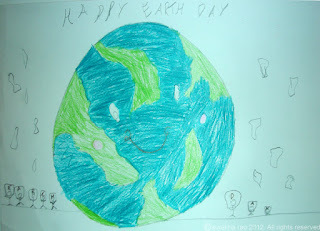 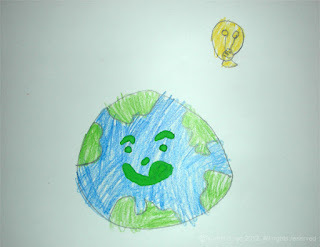 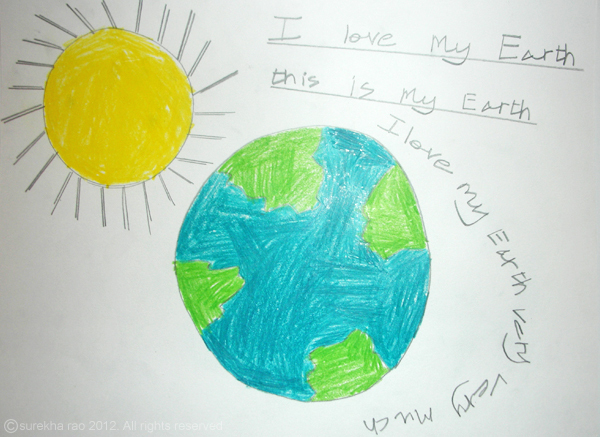 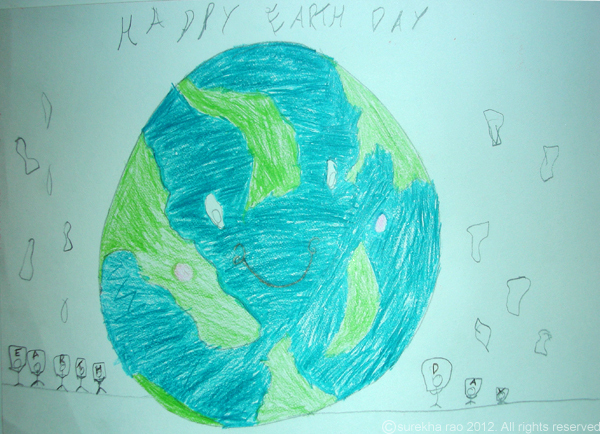 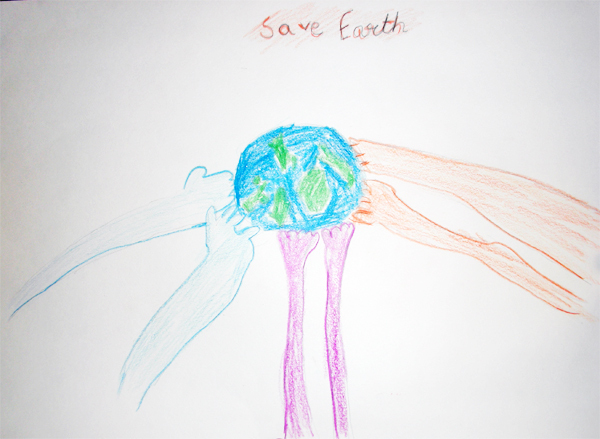 We had a wonderful discussion about Earth Day and the environment, during the third week of April. Children shared useful information they have been learning at school and home. 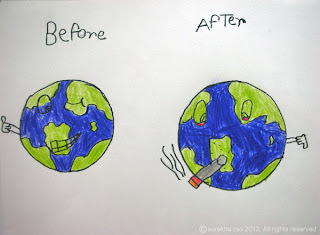 We finally came to the question - Can we make a difference? The answer, "Yes, we can if everyone does a little bit! 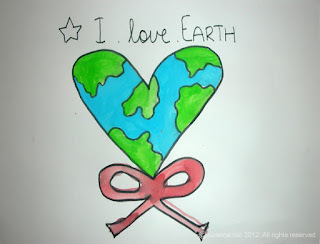 We start now and that is a promise"! 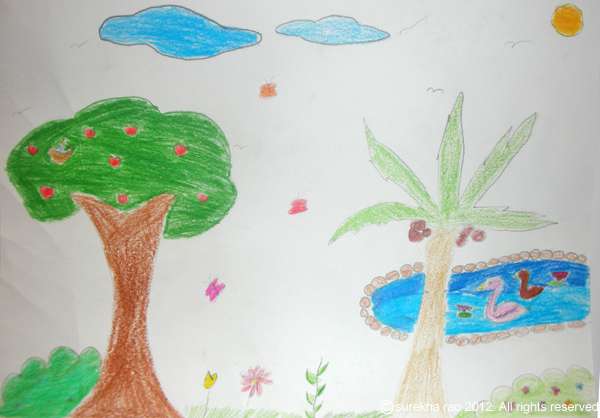 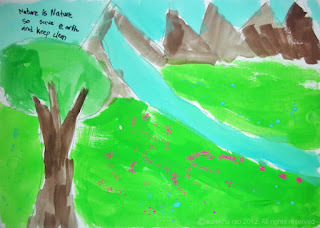 Here is a collection of artworks created by the children during these two weeks and we have more coming! 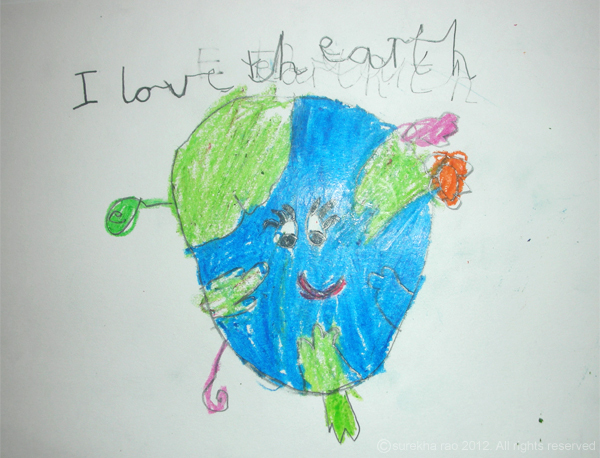 Zev enjoys writing along with his creations! 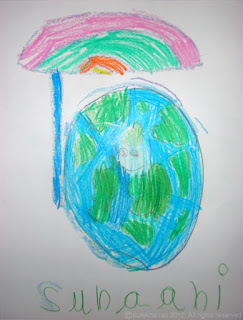 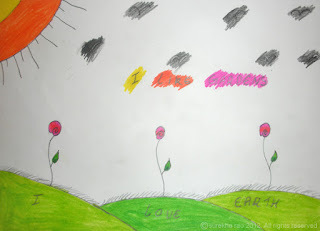 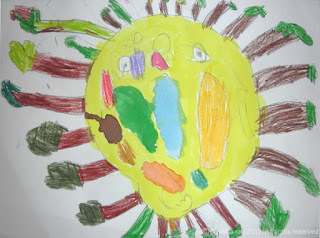 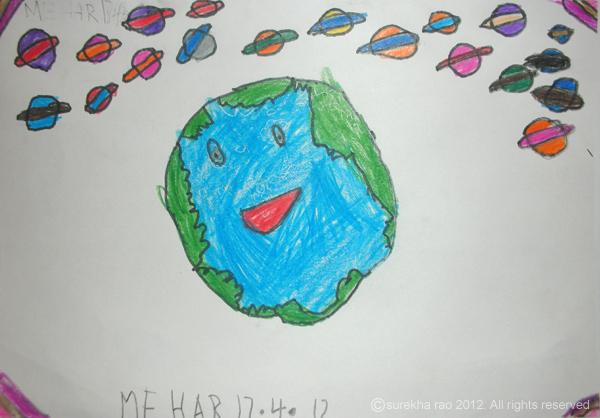 Suhaani has created the most beautiful rainbow umbrella for our earth! What's become of our earth today! 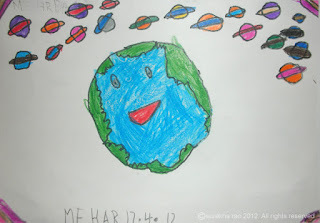 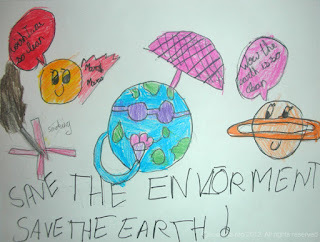 If we protect our environment, the other planets too would appreciate and become our fans! 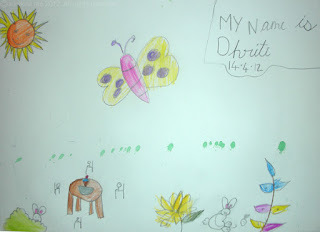 Dhriti loves all things beautiful. 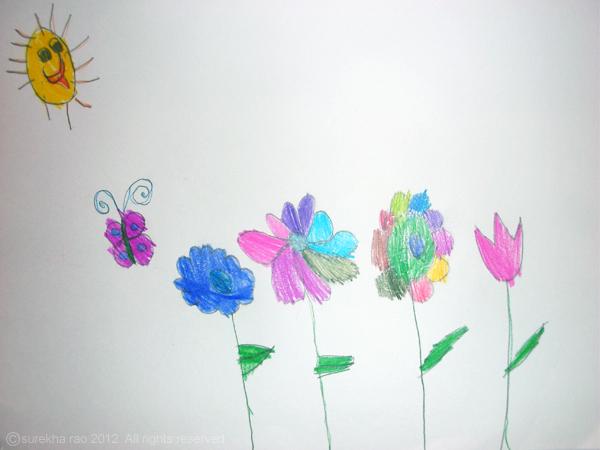 A picnic, butterflies, gardens and many more! Diya is a new comer at our 'Art with Children' studio.